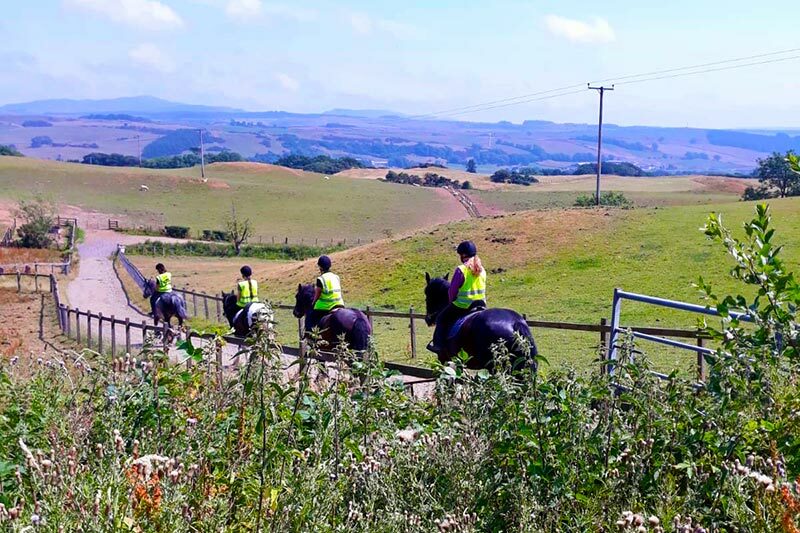 Own horse: On or off site, group, individual or restricted available. 1 hour (novice): Quiet ride suitable for beginners after short period of instruction. Lead rein available if required. 1 hour: Able to walk/trot confidently. Canter can be incorporated if rider’s ability allows. Short assessment of riding ability before setting off. 2-3 hour: Faster ride for the more experienced rider who rides on a regular basis. 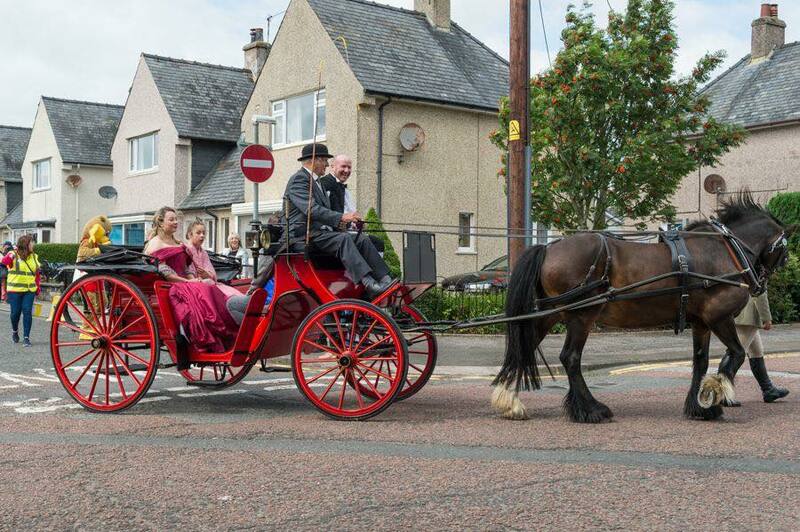 We have wedding and general purpose carriages available for hire. 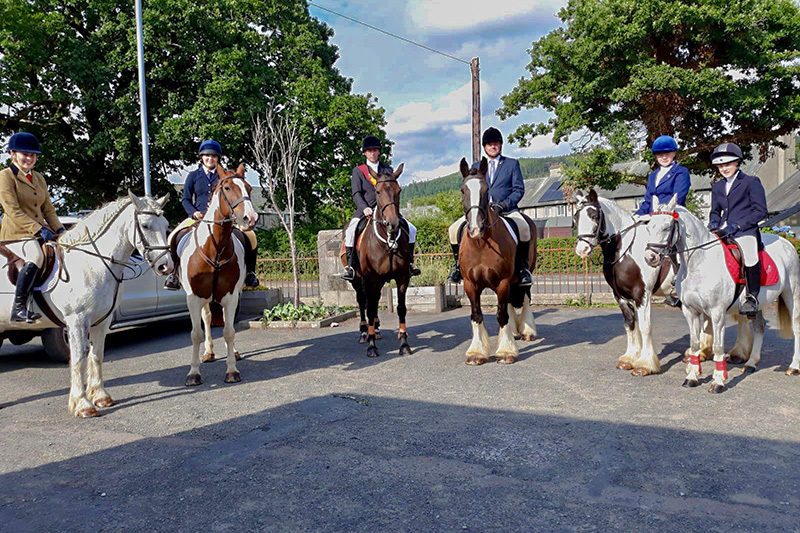 Horses available for hire for various common rides (Kirkcudbright, Gatehouse, Dumfries). Prices include tack and turnout, delivery/collection from an event, support during the event and local hunts. 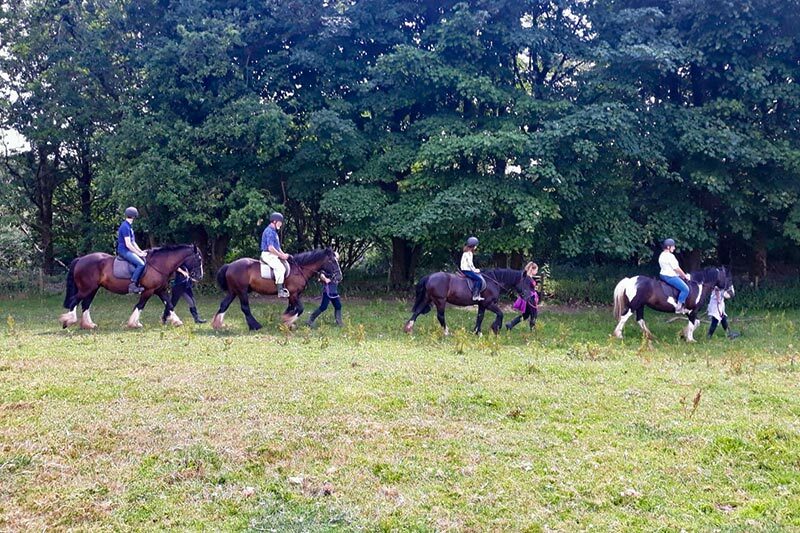 Riders must try out horse/pony prior to the event and satisfy the instructor that their riding is of a high enough standard to safely complete the event. Riders must obtain private insurance for the event and the principal insurance document must be produced to the Centre prior to the event. A non-refundable deposit will be taken at the time of booking. For further information and prices, please contact by telephone 01557 820225 / 07885 168093. Pony Club Centre: We are an accredited Pony Club Centre – see Pony Club page for more information. Livery: Various livery packages available – see Livery page for more information. Clipping: Clipping and trimming can be arranged on site. Instruction available. Competitions: We run various different competitions and events throughout the year – see Competition page for more information.